“Amen, amen: Except a corn of wheat fall into the ground and die, it abideth alone. But if it die, it bringeth fort much fruit” (John 12). “I have glorified Thee on the earth; I have finished the work which Thou gavest me to do. And now, O Father, glorify Thou me with Thine own self with the glory which I had with Thee before the world was” (John 17). Once upon a time – or, more likely, before that – One had a dream vision. He dreamt He was clothed in a perfect, shining circle. He even filled it. He was it. They were one, and fully identical. For some time, maybe for aeons, He repeatedly experienced this dream vision. It pleased Him. It did, indeed. All of a sudden, at the moment of awakening, the vision changed. The sensation was still present and vivid. But a new movement was apparent. Now He couldn’t only feel the union; He even perceived that the circle was a circle. He saw it from the outside, too. The circle with which He was united was also a separate reality. He saw that inside and outside were one thing and yet radically different. And that staying inside would be a limitation. The circle’s mute totality was no longer a totality. We immediately see that One’s circle, when observed from the outside, had become relative. This insight was a penetrating shock and, at the same time, a shining challenge. The only way onwards, from this moment, would be to identify Himself … as a relative. One had become fully awake. He felt as if being born. Into a new state of existence. He was no longer only One. He was also pi. The above lines may represent my own train of thought at the discovery of the Key of Transition. 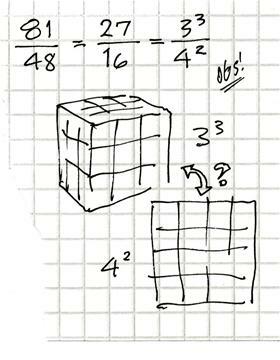 A pure piece of number and geometry, and yet a parable. Echoing layers and depths of message. It was one of those moments when a beyond reality seemed to uncover its face and speak out, pronouncing ageless gospels articulated in the unchanged language of the Beginning. Discussing the basic aspects of this theme in the first Periscope volume, I could drop it here. But due to the complete scope of The Testament, I choose to make it a part of this new setting. The versatility of the Key’s built-in parables makes it one of the most important symbol-bearing instruments I’ve ever touched. The dream vision is no mere memory. It is a full-born, developed, and mature reality. It was from the very beginning – from the moment when Time and Space were conceived. Now, back to the moment of awakening. A new image of totality was found: What was and what became were both present in it. The mathe-matical key code was 1+pi. The geometrical figure: a circle plus a line. The circle had produced it by itself: a fusion of utter simplicity and refined mathemacy. I found it when studying the map of Jerusalem. Then I dreamt it. After some days I consulted the Pyramid. 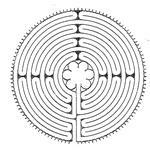 The first thing I did was to collect, in a circumscribing circle, the circle and its stretched-out periphery, thus making a sign of oneness embrace one of duality: a home for the unfolding story. A crossing line, separating what-was and what-became, was the next component to be added. I drew it – and placed the Superior Pyramid’s section onto it. Its length was thus defined to be 432 uc. The Pyramid didn’t fit in, however. Its apex proved to be 108 uc from the end of the stretched-out line. 108 uc: exactly one fourth of the crossing line! – meaning that a filling-in square ‘hovering’ above the Pyramid would have a perimeter equaling the crossing line. The circle’s periphery and the square’s perimeter were present, folded as well as unfolded: a story of composed minimums and maximums. A Key, born from an expressive story, had itself become a story. The pitch angle of this key’s Great Pyramid side-lines proved to be 5183.6793ac – only .00535 percent from 72x72ac. Even this accuracy was a confirmation. Still, yet another discovery was in store: The areas of initiating circle and ‘top square’ were equal. So, what was the story? 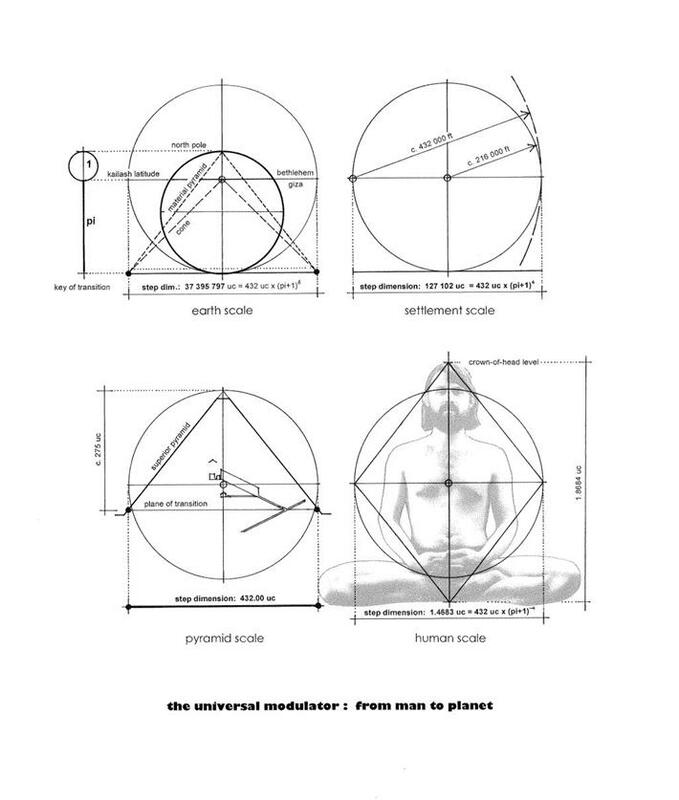 What could a hovering ‘Earth’ symbol and a ‘Heaven’ symbol hidden in the deep mean? The picture seemed to explain itself: It was no less than a document demonstrating a pact – the Holy Pact of Heaven and Earth. The symbols were exchanged for mutual remembrance, celebration, obedience. The geometry of any genuine pyramid expresses the same: a sign of agreement between 1 and 4. Between Heaven and Earth. An aspect of the Great Pyramid’s genius is its adaptability to different patterns of thought, ideas, models of interpretation, and – most likely – ways of use. I’ll come back to why I think the Pyramid was closed to begin with, and also, how its intruders found it feasible to different forms of occupation. Possibly as a burial monument, too. Nonetheless, I feel certain it never came to be a pharaoh’s tomb. Its destination, as affirmed by number and geometry, doesn’t include that alternative. For some time it may have been a sanctuary for initiations. It may at least have been ‘made ready’ to match such a use. All frames of programming may have their time schedules, however. Changes occur. Changes quite certainly have happened. Changes that step by step would overshadow the original silence, the source quality, the Pyramid’s breathing Zero. The 1+4-message is original and universal, setting aside ideas of inclu-ded magics, shifting theologies and temporary practices of worship. Associations with local mythologies seem to collapse. The purity of the Pyramid’s language is self-defining. This monument is a true guide. It helps us see beyond – to realize the radical difference between what’s revealed to us from the Other Side. Who the builders were and, even more important, how they were guided, may be questions with no unambiguous answer. We just observe what came out of it all, including traces of a most holy signature. The more we consider this fact, the more we see the relevance of the manifold symbolic connections between the Great Pyramid and Jesus. The image of a sacred puzzle is taking shape. The two are different in any manner. Nonetheless, they echo one an-other. We’ve only just begun to unfold this holy connection. Docu-mentations are queuing up. 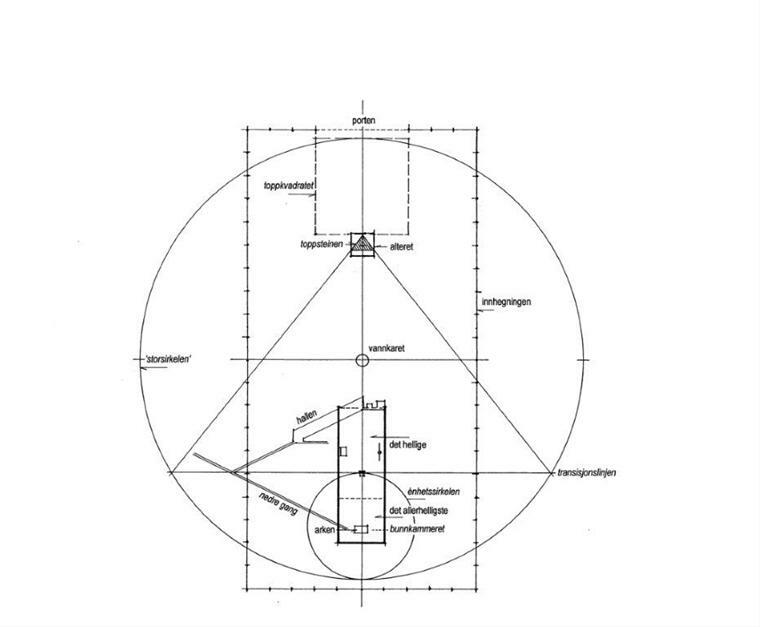 The prime aspect of the Key was the circle and its stretched out peri-phery – an image of absolute and relative, combined. Its importance was soon proven: in the very anatomy of the Pyramid. In the Middle Chamber (the Queen’s Chamber) the symmetrically ridged roof displays a top angle span of 120 deg. The cross section thus mat-ches hexagonal geometry. The imaginary hexagon, marking even the roof level of the entrance, doesn’t reach all the way down to the floor. Another code figure is at work here: the Key of Transition. The roof’s height interval is supplied by a dimension pi times bigger, marking the floor level. Roof, room, and floor thus demonstrate an interplay of keys. Little by little this chamber proved to be a home of explaining keys. Its in-between position in the Pyramid and the horizontal connection with the bottom level of the ascending Hallway may help explain this role. Also the High Chamber (the King’s Chamber) reveals its version of the Key, yet differently. A series of five closed spaces above the main room are included, explaining that they are part of the entire High Chamber secret. Four of the spaces, having horizontal roofs yet no defined floors, make a series of marked levels right above the room. A fifth and final addition has a ridged, symmetrical roof: the ‘Top Chamber’. Its pairs of immense roof slabs, weighed on by the entire stone mass above, seem to have had an original pitch angle of 3240ac. The present angle is slightly wider, due to the great pressure and amplified by the side effects of earthquakes. Originally, the roof ridge would have been some 42.1–42.2 uc above the main room’s floor. The relation between this total height and the width of the very chamber is (pi+1) : 1. 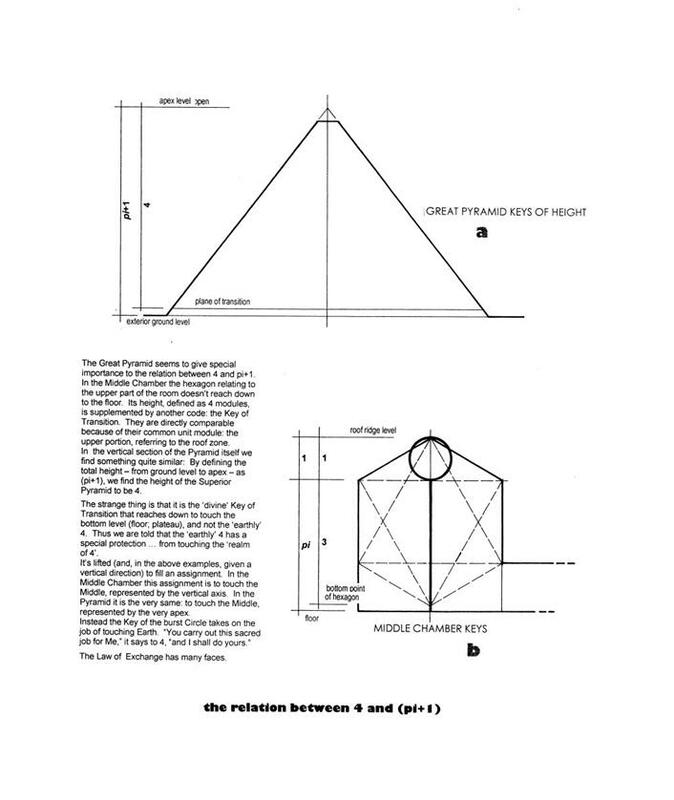 Both keys thus define a symbol-bearing relation between a top ridge and a floor level. This last Key is turned, however; the initiating circle is at the bottom, having a horizontal reference. But the 1-dimension of both initiating circles is exposed openly – an invitation to see, question, and discover. Also the vertical cross section of the ascending Hallway reveals these same Key proportions, its dimensions being two fifths of the High Chamber version. The distance Capernaum–Nazareth has a significant relation to the entire distance to the Great Pyramid. 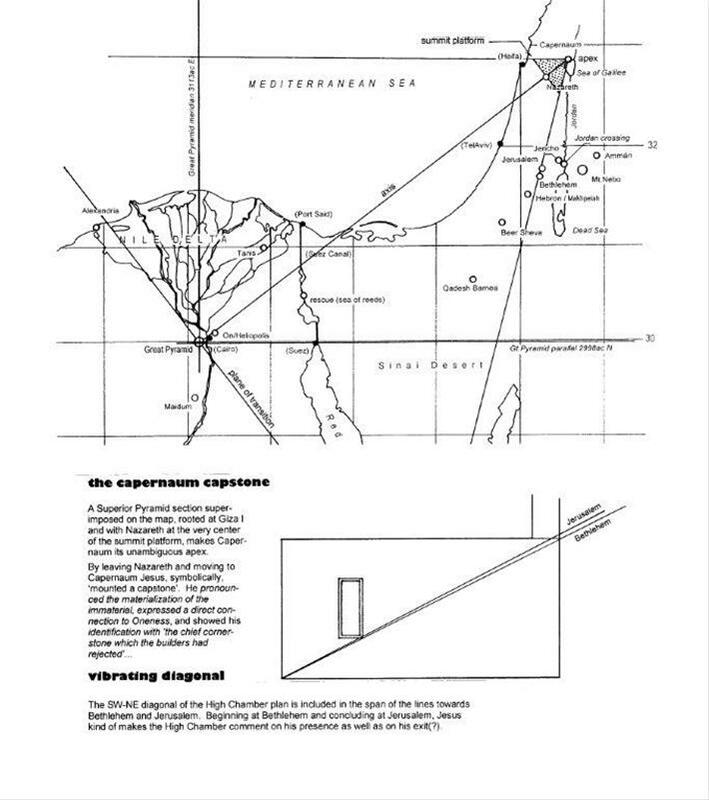 It relates to the entire distance like the height of the Capstone relates to that of the Superior Pyramid. So, moving from Nazareth and choosing Capernaum as his mission center, Jesus mounted this ‘Capernaum Capstone’. Nazareth is the connector, defining Capernaum as an apex point. But even Bethlehem is a connector. 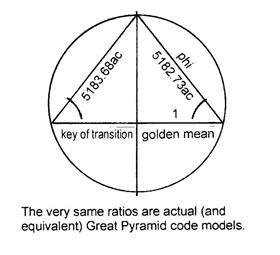 It’s the connecting point in a Key of Transition having the distance to Capernaum as its 1-dimension; the distance to the Pyramid being the pi-portion. This Key is bent, however. Only the partial dimensions reveal this. Bethlehem acts as an outside connector, hired to expose the sacred relation, but also to announce a demonstrative change of course. As if two different programs were to be professed – by the very place of birth. How true this image came to be! 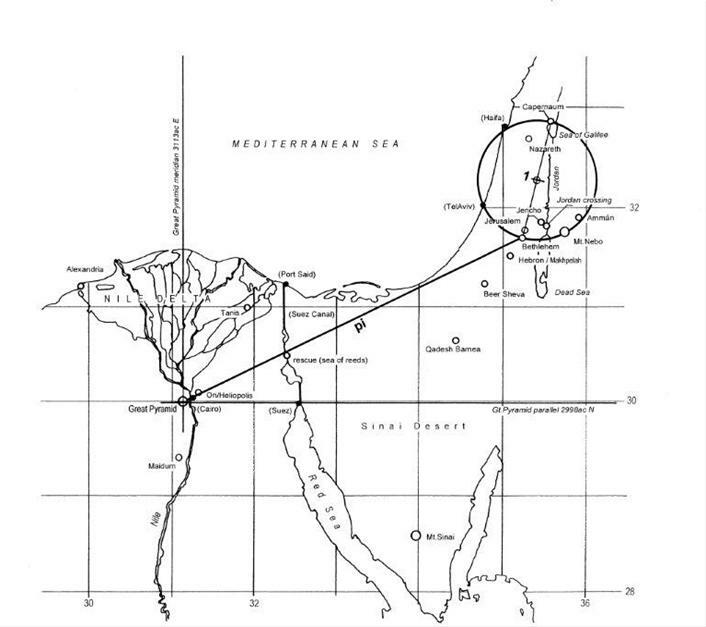 By quoting the Pyramid passages’ pitch angle the map line from the Great Pyramid to Bethlehem, EN 2628ac, explains that even the symbolic connection with Jesus has an aspect of ascent. The direction Pyramid–Capernaum, NE 5256ac (being 2 x 2628ac) is a related symbol. By quoting the total span between the two Pyramid passages it symbolizes, correspondingly, a full ascent. Both lines radi-ating from the Pyramid thus refer to ascent. The message was to be extremely clear. So, both cities referring to Jesus’ coming – Nazareth and Bethlehem – act as connectors. Being the final point of both versions, Capernaum is declared a most important symbol. Can this place have some secret to reveal – a secret interplaying with those of the Pyramid, or one of a quite different nature? We’ll definitely have to look into it. 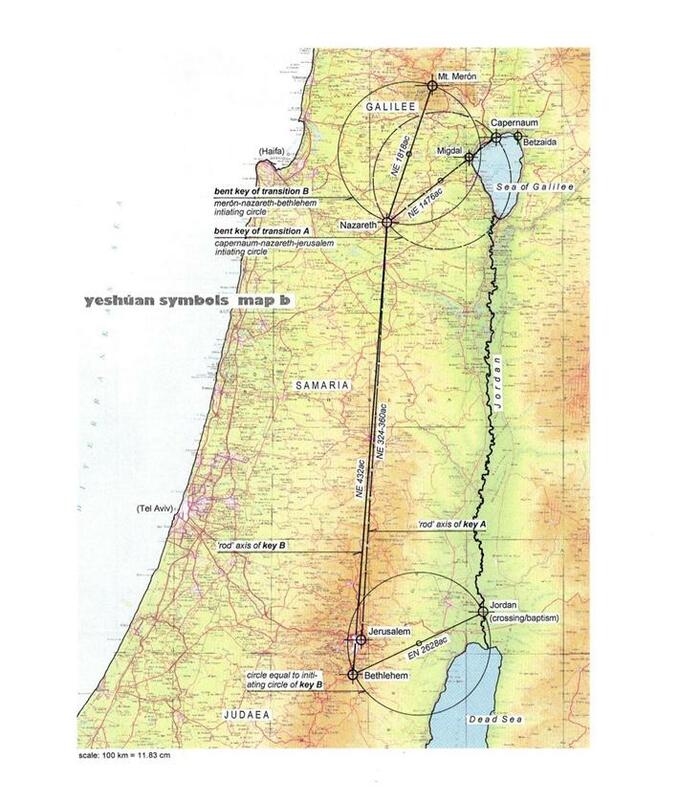 The direction of the line Bethlehem–Capernaum is NE 1476ac. As men-tioned already, the symbol of 1476 relates in a variety of ways to Jesus’ mission. Capernaum was the very center of his ministry. The question concerning the Pyramid’s role seems the more important. Can it be the global representative of the eternal initiative behind Jesus’ mission? If so, did he recognize it as such himself? The distance Bethlehem-Capernaum is a local symbol, connected to Jesus' mission. 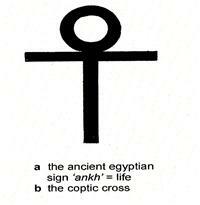 In addition it is a symbol of maximum, of totality, as the other Yeshùan key cities are inside the spanning circle. 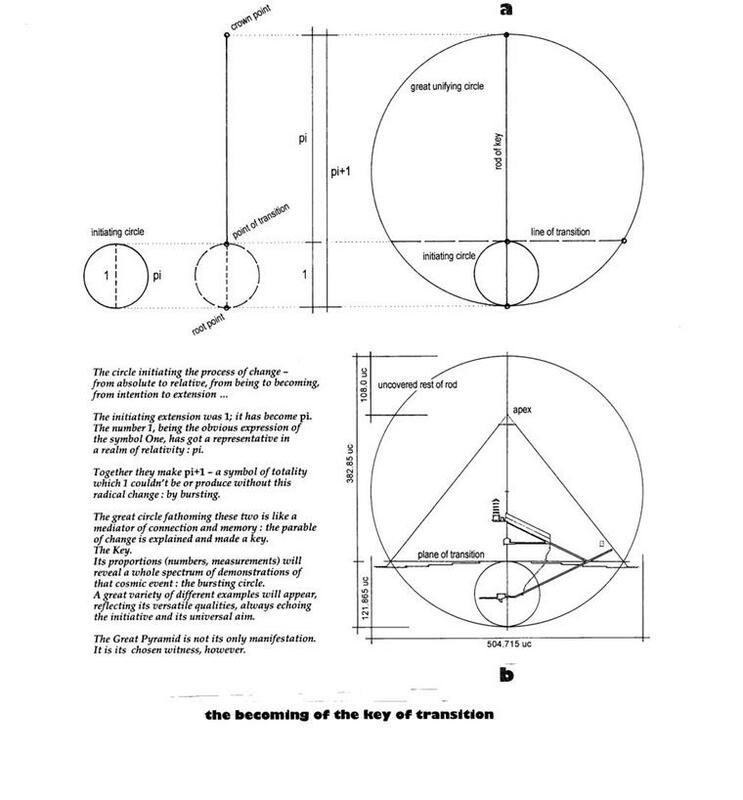 Finding that the distance Bethlehem-Great Pyramid measures pi times the circle's diameter, we see the signature of a Key of Transition - although bent. In a bent Key the line of transition is lost, or explained away. The connection is there but it is injured, as if an aspect of lost memory has taken place. Was that the intention - in order to optimize his Master assignment within the Hebrew frame... his mission as a Son of Man. The Key supplements this purpose, however, by giving his local mission the symbol of One - via the diameter. But it insists: that the total perspective includes more... that the Initative, of both mission and Key, remembers. A most striking map example of the Key of Transition is the one inter-linking Jesus’ four key cities – Bethlehem, Capernaum, Nazareth, and Jerusalem. The 1-unit of the recently mentioned external Key appears as this local Key’s total length, given by the distance from Bethlehem to Capernaum. So, defining this distance as 1+pi we find the distance Capernaum–Nazareth measuring 1, Nazareth–Jerusalem, pi. The proportions reveal a most striking exactitude. But even this Key, having Nazareth as its point of transition, is bent. The pi+1-dimension is displayed as both direct and broken, both un-divided and divided. As the direct distance of birth-ministry equals the broken distance of ministry-death-via-Nazareth, Capernaum is given the role of a middle: Jesus’ life between birth and resurrection is perfectly balanced … by the center of his ministry. To include the entire scope of this information, however, we’ll have to include the Pyramid. And the shades of a most sacred drama are seen. The 1-dimension of this Key points towards the Pyramid. As if it should have been the intended goal. In a way it was! At Nazareth this course-of-destination is abruptly changed, however. Why so? The adjusted Key component is pi – a symbol defined by the very Key as One’s intention to enter relativity, and to relate. The direction of actual fulfillment heads for Jerusalem. He was to fulfill what he had arrived to fulfill. It had to end like this. Due to Your will, Father, not to mine. Could both goals be relevant simultaneously, due to different perspec-tives of purpose – different natures of fulfillment? Was the bend due to a split program – split between seen and unseen? Does the double sign in-clude both alternatives? What did he see, after all? Was he, in the midst of agony, granted a survey of his own? Had the Father even revealed this split program to him? He stressed more than once that he only brought forth what the Father had told him to reveal. The chronicle of the Gospel relates that the curtain of the Temple – between the Holy Place and the Holy of Holies – burst at the very moment of his death. The connection to the most holy space, only to be visited by the High Priest, was declared open. This shocking event was to be kept secret, of course. Nonetheless, the information had leaked out. A most important point of transition had been annulled. This was to be kept a vivid memory, a sign of break-through. Perhaps even fully acknowledged by priests as well as discip-les. His work was fulfilled – a work announcing the unlocking of old doors. He had announced himself as the Gate. He was the very Key. Jerusalem had been appointed the actual place of conclusion. The bent Key, starting at Capernaum, bent at Nazareth and ending at Golgotha, displays the program. However, what about the possibility of a split program? 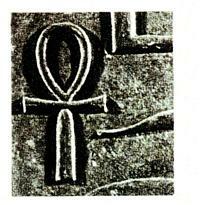 Was the Great Pyramid, the Capstone, the shining yet invisible Superior Pyramid, a co-active concluding symbol? The question may be totally off the track. Or, it may be fully relevant. What happened at the daybreak of Resurrection Day? Jesus had risen. Even if the stone that had covered the entrance had been rolled away when the women arrived to anoint his dead body, the tomb may have been closed at the moment of resurrection. Had he, who during the next few weeks once and again would enter through locked doors, even defied the closing rock? Was the Pyramid an alternative goal? In any case, it offers us a similar symbol of radical breakthrough: The closed outer surface – which is opened at present. Yet also another sign: the closing plugs that keep the upper passage unvisited by body as well as eye. What may have happened in the Pyramid at the moment of his death? Did he arrive there, too? Did his spirit penetrate that obstacle, too? Was he experienced as the Key, there, too? The High Chamber’s floor diagonal ending at the exit corner has a direction of EN 2656ac. Prolonged it points right into the gap between Bethlehem and Jerusalem. Adjusting it to pass the middle of the exit, 2 rc wide, it would hit Jerusalem. Or Golgotha, to be more specific – the place of Jesus’ death and resurrection. Both relate symbolically to the meaning and function of the High Chamber. The very symbol of exit echoes this picture. The Key of Transition proved to be present here, too – as well as in the vertical section of the Hallway. Both examples were vertical, although revealing horizontal units, defined by the widths of the spaces. 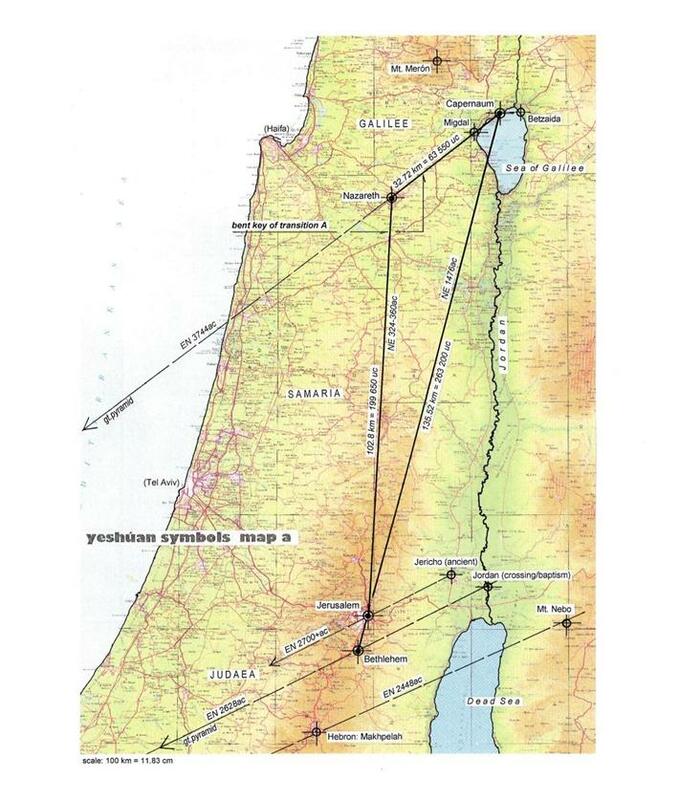 In addition, the Capstone’s relation to its total home – the Superior Pyramid – had given its affirming comment on the map, interlinking Pyramid, Nazareth, and Capernaum. Still Jerusalem had to be a ‘final solution’, physically. The Key versions whisper of a scope of purpose whose dimensions we in no way can acknowledge or give a proper wording. Nonetheless, Jesus himself did word it, saying that ‘the grain of wheat would bear no fruit if it wasn’t willing to die’. If accepting its destin-ation, however, the fruit would be plentiful. This was part of the Testament he handed over to his followers. It would depend on one certain condition, though: the followers of the One had to be united. “Otherwise the world won’t be able to see that you are mine – and that I’ve been sent by my Father.” By the One. The exact words may have got lost, but the meaning hasn’t. ‘I’ve been sent by my Father …’. The message is ageless, pronounced in words by Jesus. The Key of Transition pronounces the very same. The torn temple curtain gives us a supplementary message, though. As do the possibly penetrated stone obstacles. It’s a message about a Key’s rod – the stretched-out periphery – return-ing to its original location – in the Circle. It’s fulfilled. Where I go you can’t accompany me. Yet I’ll still be with you. What’s done is valid. One more moment – between resurrection and leave-taking. That very first morning he spoke to Mary from Migdal (Magdalene) at the very tomb. Later on that day he accompanied two of his friends to Emmaus. In both incidents they didn’t recognize him immediately. He either blurred their sight, or he’d taken on a different appearance. But both times he made them recognize him, by voice or deed. Materializing and dematerializing, and passing through locked doors he made them acknowledge his new realm of existence, maybe also to have them see that the rock of the tomb be of no hindrance. One of the gospels says it was an angel who rolled the blocking stone away. The visiting disciples needed that assistance – more than did the Lord. The example may seem strange; he had asked Mary from Migdal not to cling to him. Now he asked Thomas to touch him. Why this difference? Most likely because the purposes were different. The message wasn’t pronounced by Jesus only. It is expressed by the Great Pyramid, too: ‘Do dare the comparison. Do not let obstacles of past moments block your passage of understanding’. . . This last symbolic connection between Jesus and the Pyramid may join the other parallels of purpose and meaning. The common Source is present. The Pyramid was made to keep the world out, but also to reveal its identity and purpose to future burglars, whether they be adventurers, scientists, or devotees. The Key reveals yet another dimension of discovery. 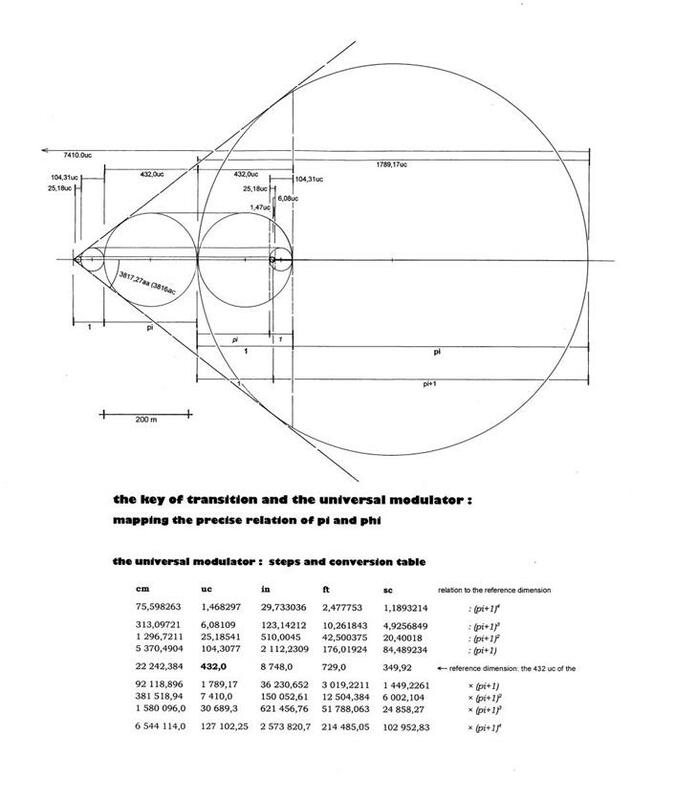 A ‘modulator’ of Key ratios proves to be the very connector between the symbols pi and phi – between the laws of the circle and the golden mean. The link is the factor pi+1 – the code figure of the Key of Transition. How this is proven needs a loop of its own. 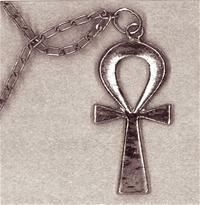 This connector’s virtues were discovered when analyzing the possible relations between different scales of observation – those of the Great Pyramid; the human prototype (pp. A-184ff); planet Earth; the key distances of the Exodus and of the Yeshúan Key of Transition (p. A-102). My actual yet indirect guide to this analysis was the Icelandic scholar, Einar Pálsson. His discovery of what he named ‘the wheels’ – great cir-cular formations accompanying the new settlements from the era of the great migrations – made me take a closer look. He found traces of these ‘wheels’ in Iceland, Britain, Denmark – and as far away as Iran. Around the chosen settlement centers specific features on the circles’ periphery would witness or guarantee their sacredness. The radii were, almost without exception, about 216 000 or 432 000 feet. The Icelandic ‘fet’ was less than 30 cm; in addition, it was defined as 36 grains of oats, which seemed to make the fet’s length vary according to a year’s harvest. My own questions referred to an assumed constant length of a (pyramid) foot, according to my analyses related to the secret cubit through a ratio of 12 inches : 20.25 inches, or 48 : 81. The radii of the deduced ‘wheels’ would be 128 000 or 256 000 uc. The Exodus module fit in! Had the Exodus been a migration matching the general system? For what reason? But also the dimensions of the Yeshúan Key ( p. A-102), applied on the map of his native landscape, matched with striking precision. I intuitively guessed that the Key of Transition was the carrier of yet another secret – of connections to other levels of purpose and scale. This proved true. 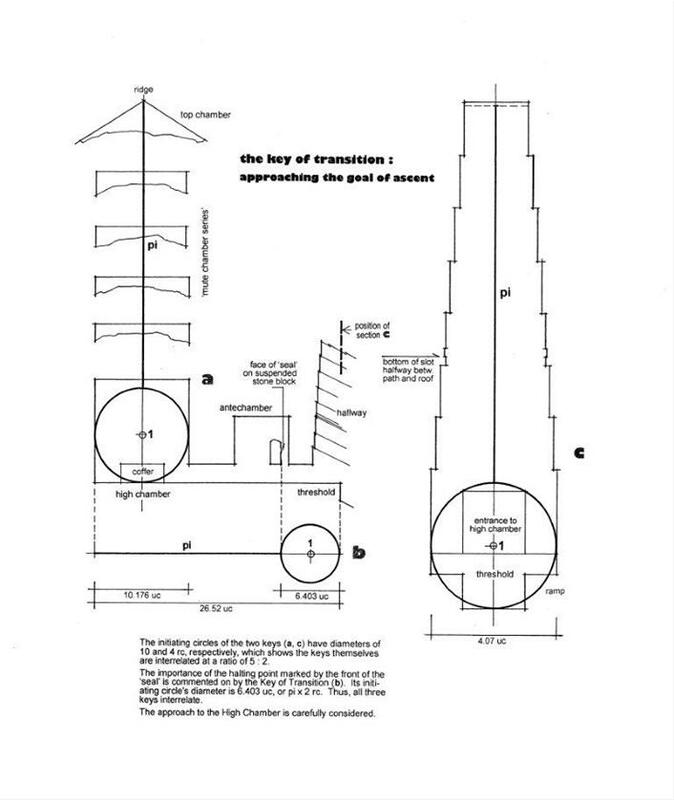 The Great Pyramid as well as the ‘prototype man’ agreed to cooperate. And so did Mother Earth. A main step of pi+1 to the fourth power – (pi+1)4 – proved to articulate a striking series of interconnections. The illustrations show the different main steps, and the table (e) displays the entire sequence of links. One great step further a dimension of 37 595 797 uc appeared. I came to think of the Cone and its relation to our planet. Making this dimension the Cone’s diameter, its height would be the radius. 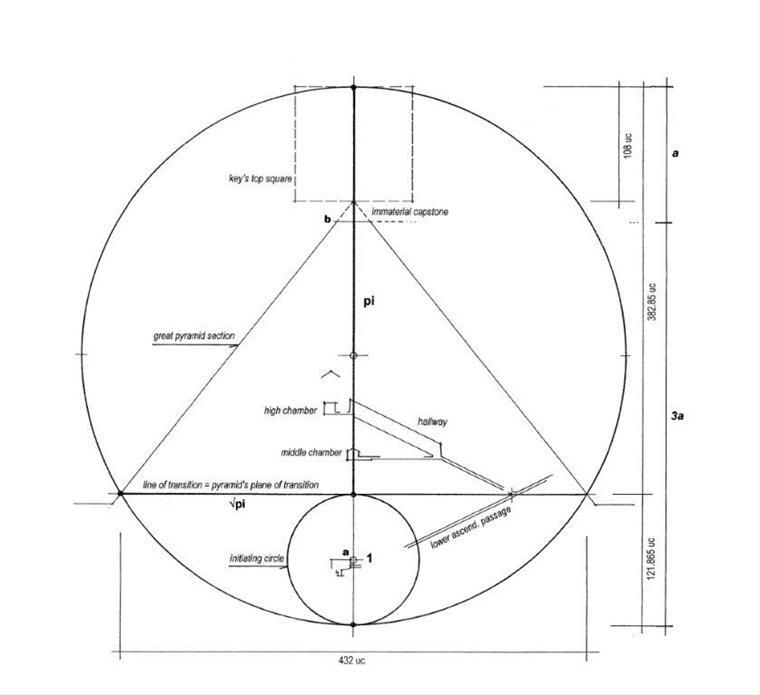 In an inserted axial section of the Earth the Cone’s (an thus, the Pyramid’s) apex would reach up to the latitudinal belt of the holiest mount of Asia, Kailash, and the birthplace of Jesus, Bethlehem. The specific global capacity of the latitude of Kailash is that it divides the polar axis at the ratio of 1 : pi. Kailash responds via the very Key! But exchanging the Cone’s diameter for the measurement across of its deduced Pyramid, its apex would be the North Pole. The Earth does indeed belong. Returning to Pyramid scale and trying one great step down, I ended at a dimension of 1.4683 uc. This proved to be the side of a square whose circle of equal perimeter would measure 1.8684 uc – the very height of the sitting prototype body – its 4M-size from rear to top-of-head. Even the human dimension is included. With precision! Then a concluding figure appeared: a connector, coordinating the main steps of the system. The sequence of connected Keys filled a common framing figure whose angular span was 3817.27ac – or, quoting the calculator: 38.17270762 deg. The numerologic figure is 3816. 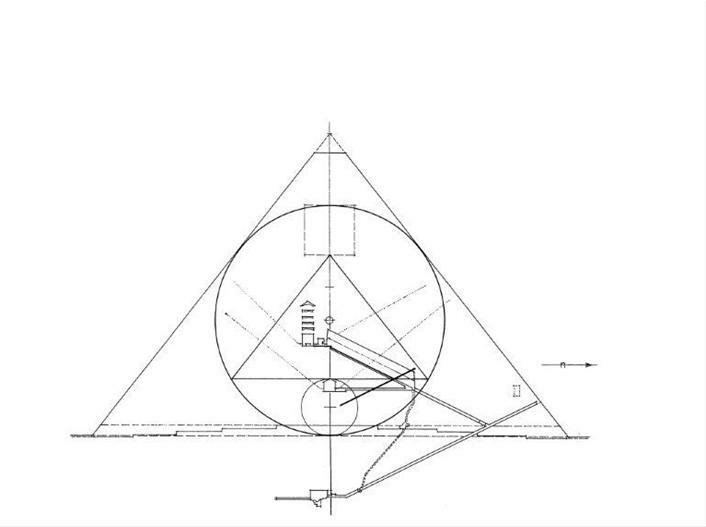 The accurate half apex angle of the Great Pyramid – deduced via a linear composition of the main steps of the Modulator! The really strange thing, however, was that this angular span refers to the golden mean model (p. A-36b), and not to the circle-and-square code (p. A-36a). This was indeed astonishing. 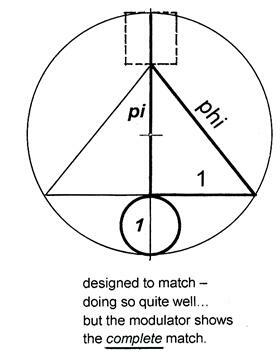 The conclusion seemed immensely important – even as a mathematical cue: The Modulator reveals the accurate connection between the symbols pi and phi. The fact is applauded by the Great Pyramid, itself being a connector. The bursting Circle has revealed yet another secret, kept safely in its holy archive.